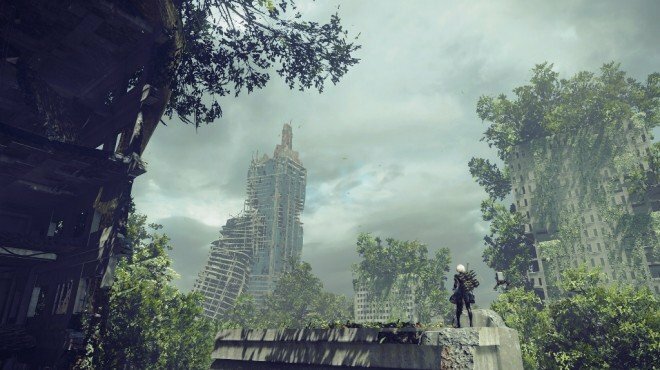 YoRHa: Gunner 16 is one of the information archives in Nier: Automata. A unit from the experimental YoRHa squadron that was utilized during the 14th Machine War. Number 16 possessed a rough and tumble personality ideal for her role as a Gunner, where she was required to attack foes from a distance. Though she possessed a defiant streak that extended even to her superiors, she was assigned to the mission anyway due to her tremendous offensive abilities. During her squad's assault on Mt. Ka'ala, Number 16 volunteered to stay behind and hold off the machine lifeform army so her companions could continue up the mountain. She fought with great courage alongside members of a local Resistance group, and managed to hold off overwhelming numbers until the appearance of a Goliath that was unaffected by ordinary weaponry. Seeing no other way to end the fight, she chose to destroy the enemy by overloading and detonating her own fusion reactor. This act of self-sacrifice despite her defiant nature is one of remarkable interest, and likely merits further study.